November is Diabetes Awareness Month, and for many people feet are the last thing they think of when they hear the word diabetes. Diabetic patients are at a higher risk of developing foot problems than those without diabetes, due to nerve damage and poor circulation associated with the disease. 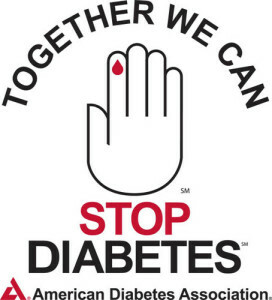 60-70% of diabetics experience damage to nerves that diminish the pain sensation, this is called neuropathy. The idea of less pain sounds great, but without normal pain sensation we become less aware when we injure ourselves. Injuries such as scratches, blisters or sores can lead to an infection and if gone unnoticed become very serious. Diabetics also have a lower immune system as well as decreases blood flow, thus significantly slowing the healing process. Therefore an infection in a diabetic patient is much more serious than that of a non-diabetic because of the body’s ability to fight off the infection is weakened. Due to a lower immune system and decreased blood flow, this once simple skin wound can spread to underlying muscle, and even into bone. Infection in bone is called osteomyelitis and is a very serious condition that can quickly lead to loss of the toe, foot, or possibly the limb. Due to the serious consequences that can come from even the smallest scratch in a patient with diabetes, it is recommended diabetic patients be seen by a podiatrist at least once a year. This significantly decreases the chances of small cuts or nicks going unnoticed and progressing into more serious situations. This can and will save you unnecessary pain as well as money. Even a minor injury to a diabetic patient is an emergency, and it is highly recommended to visit your podiatrist immediately if you experience any injury to your foot. The key to keeping a diabetic foot healthy is prevention and early detection. 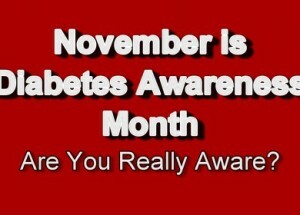 If you or someone you know is diabetic and does not have a podiatrist please contact First Coast Foot & Ankle Clinic.